If you’ve been into Bitcoin for a long time, or are only willing to get your first cryptocurrency, buying Bitcoin with a credit card is the most convenient and easy way. After all, everyday we pay for lots of goods and services using our VISA or MasterCard. We are used to it as to surfing the Internet. Why would you need to buy a Bitcoin, actually? There are multiple advantages of getting into the cryptocurrency world. Having a Bitcoin in your virtual wallet will give you the possibility of transferring money instantly anywhere in the world by only having an access to the Internet, which means you are not depending on bank working days, amount limits and borders. You are controlling your finance in full. 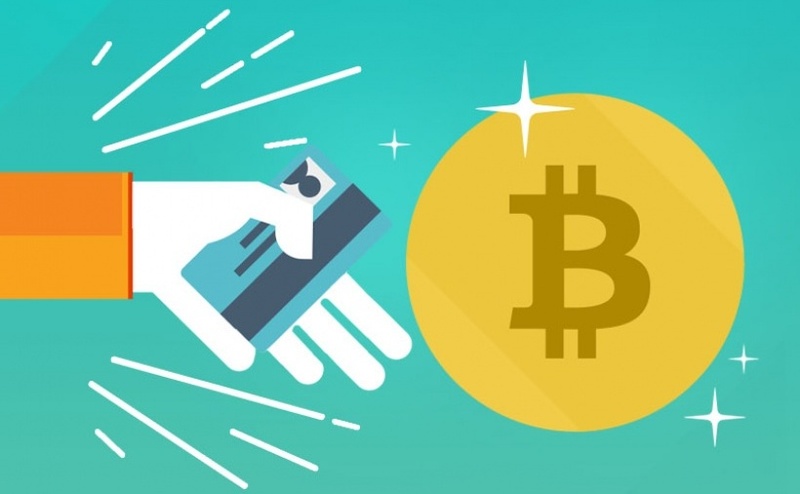 While Bitcoin transactions are instant, they are processed with extremely low fees, which can be by no means compared to those imposed by banks, PayPal, Western Union or credit card networks. Bitcoin payments allow users to stay absolutely anonymous but are fully transparent at the same time. Thus, if you want to send Bitcoins to another person, there is no need to tie personal information to the transaction. However, data about this transaction will be available for everybody in the blockchain, namely the amount of transferred money, date and time, as well as the public addresses of sender and recipient. The encrypted form of addresses ensures strong protection against identity theft. Finally, Bitcoin transactions are irreversible, which makes them of a high priority for merchants who want to avoid charge-backs that can happen with other payment methods. How cool is that? Now, with Bitcoin’s advantages in mind, people can’t but start purchasing them, for various reasons, be it a payment means, an investment, or they just want to put their hands on technology. At CEX.IO, we’ve been trying to make the process of buying Bitcoin as easy as possible from the very start of our operation. Improving services step by step, we are now coming to the option that allows buying Bitcoins with credit card in just a few clicks. Sign up with CEX.IO if you still don’t have an account, choose one of your credit or debit cards and use them to buy Bitcoins just the way you, let’s say, buy a book on Amazon. 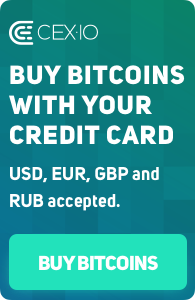 To start buying Bitcoins with a credit card at CEX.IO, you would need to provide relevant and up-to-date information about the card. Along with choosing type of your card, you will enter such universal data as cardholder’s name, card number, expiry date and CVV/CVC code. Please note that we accept only 3D-Secure cards. The final step will be to choose your deposit amount, or the amount in dollars for which you will later buy Bitcoin at CEX.IO. At our exchange, you can literally buy Bitcoins for any currency of the world. Even if your card is in CNY, your bank will automatically convert the amount into dollars, funding your CEX.IO account with fiat money, which you can use to buy Bitcoins later. After filling out out a user-friendly application form with data about your credit card and proving your ownership, the transaction will be shortly processed by the issuing bank of the card. To make it even more comfortable for our users, we have recently introduced a new feature at CEX.IO. Now you can add an endless number of cards to your account. That means, each time you want to fund your account, you just need to choose one of the cards from your list. Moreover, once you verified ownership of your card, there is no more need to enter all the details again. The process of funding an account simplifies to choosing the card and the amount you’d like to deposit. Imagine it as if you had an online wallet where all your cards are safely stored. Of all the ways to buy Bitcoin, using your credit card is the most convenient way to do this. While bank transfers take a long time and are significantly more expensive, it’s better to buy Bitcoin with credit card, that takes less transaction processing and charges lower fee. Due to considerable price fluctuation, Bitcoin is a perfect currency for trading. Thereby, if you want to increase your number of Bitcoins, try out Bitcoin trading at CEX.IO. Take a glance at the Bitcoin price live chart, place orders and get profit from trading on the price difference. As CEX.IO has won the trust of almost one million users, we can proudly say that buying Bitcoins with us is safe and reliable. Having introduced easy account funding described above, we will continue improving our service and giving the opportunity to integrate Bitcoin into your life and business.